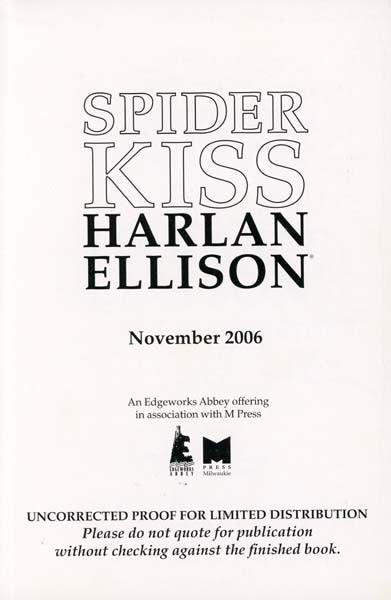 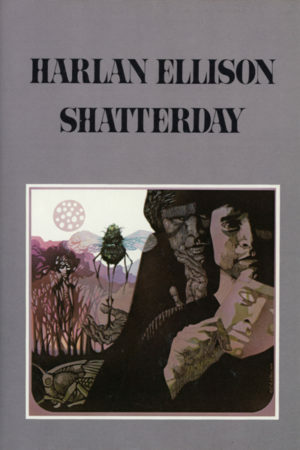 An uncorrected proof of Harlan’s legendary rock ‘n’ roll novel. 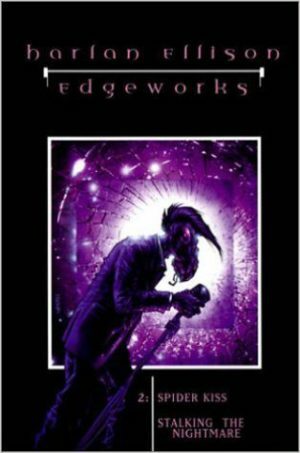 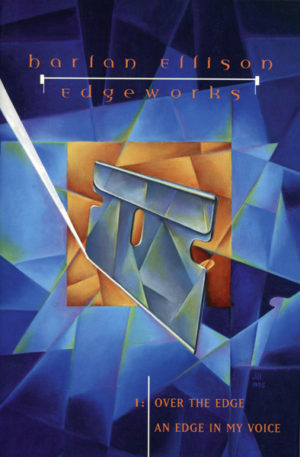 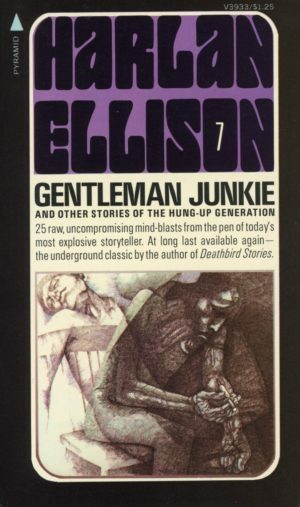 If you thought the only thing Harlan Ellison writes is speculative fiction, craziness about giant cockroaches that attack Detroit, or invaders from space who look like pink eggplant and smell like yak poop, this dynamite novel of the emergent days of rock and roll will turn you around at least three times. 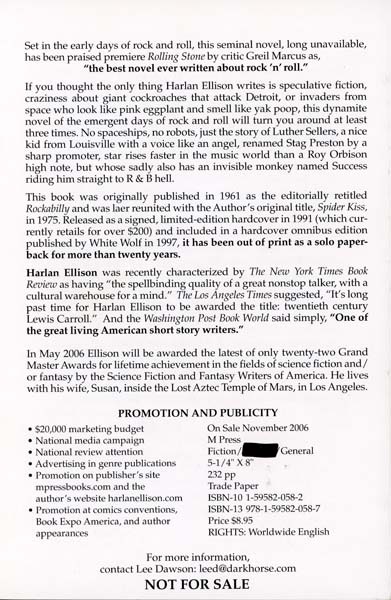 No spaceships, no robots, just the story of Luther Sellers, a nice kid from Louisville with a voice like an angel, renamed Stag Preston by a sharp promoter, star rises faster in the music world than a Roy Orbison high note, but whose sadly also has an invisible monkey named Success riding him straight to R & B hell.